We provide apostilles and embassy legalization services for death certificates, with or without exemplification letters, old or recent, issued in all five boroughs of New York City (Manhattan, Brooklyn, Bronx, Queens, or Staten Island). The price for a New York State apostille is $175, processing time: 3-4 business days. Old death certificates. Are they acceptable? 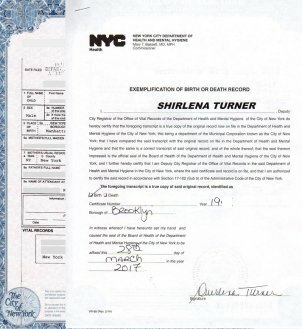 Where can you get a certified copy of a NYC death certificate? If you have an original death certificate eligible for an apostille or legalization, please mail it to us and we will be happy to assist you with obtaining an apostille or legalization by a foreign embassy. A Letter of exemplification is a page attached to a New York City death certificate. It is hand-signed by one of the Deputies City Registrar and attests that the attached death certificate is a true copy of the actual record. Exemplification letters can only be attached to the NYC death certificates at the time a certified copy is issued. You cannot request a Letter of exemplification separately. As of now, a Letter of exemplification is not required for apostille / legalization purposes. 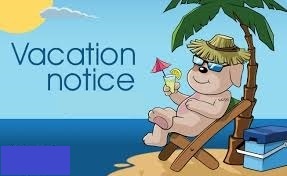 If you received the death certificate with a Letter of exemplification, it will be legalized in accordance with the standard procedure, first by the County Clerk's office in New York City, and then by an apostille or foreign certificate / embassy. If however, the death certificate came without a Letter of exemplification, a different procedure will be used. The signature of the City Registrar will be authenticated directly, without a Letter of exemplification, by one of the NYC courts. After that, the document will be apostilled or legalized by a foreign embassy according to the standard procedure. A few consulates specifically require that you submit a death certificate with a Letter of exemplification. Please follow the consulate requirements. However, if a Letter of exemplification is not specifically required (like in 99% of the cases), the death certificate can be apostilled / legalized without it. Old death certificates. Are they acceptable for NY apostilles? Depending on the year when the certificate was issued, it can be blue, green, yellow, pink or white in color. The color and the year of issue do not matter. Please check the name of the City registrar. If it is one of the names listed above, the death certificate is acceptable. Not sure? Please email a copy of the death certificate for a free evaluation. 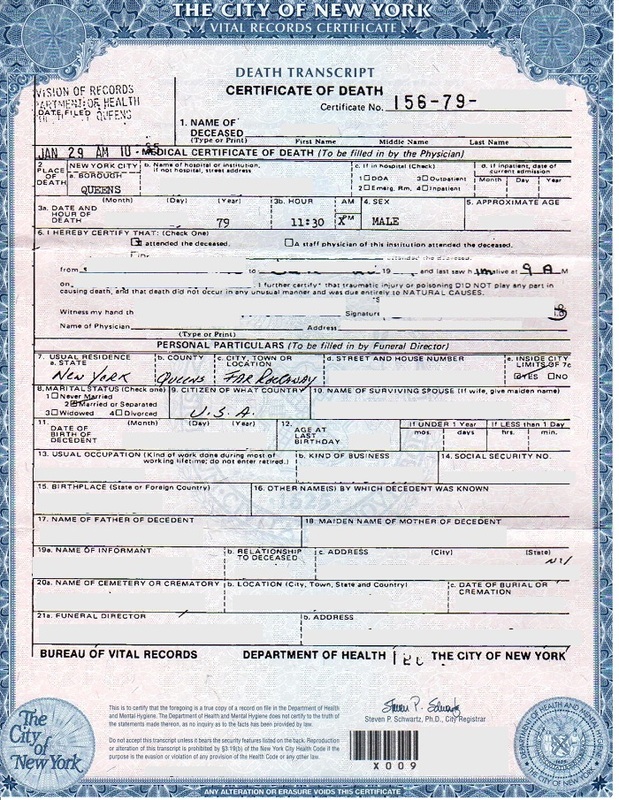 Some foreign countries require that certified copies of death certificates are recent, e.g. were issued within the last six or twelve months. Always follow the requirements of the country of intended use. Where do I get a certified copy of the death certificate if the death was registered in Manhattan, Brooklyn, Bronx, Queens, Staten Island? If the death was registered within the five boroughs of New York City, you first option is to apply in person or mail the request to the New York City Department of Health and Mental Hygiene at 125 Worth Street, New York, NY, 10013. Your second option is to use a private online service called VitalCheck.com that is the only agent authorized by the NYC Department of Health and Mental Hygiene to assist you with the retrieval of a death certificate. When ordering, you must specify that the purpose of your request is APOSTILLE/AUTHENTICATION. Then, most likely, you will get the death certificate with a Letter of Exemplification. VitalCheck works OK, they also mail documents to foreign countries. Notarized copies of death certificates are not acceptable! In fact, New York notaries by law cannot notarize copies of vital records. Some foreign countries require that certified copies of death certificates are recent, e.g. were issued within the last six or twelve months.